Are you planning to send money to your loved ones? With LBC Express, we can say that they are one of the trusted remittance and money transfer center in the Philippines. If you are asking how much is their Pera Padala rates or are they cheaper than Western Union, Cebuana and Palawan Express? We will leave you it you to compare their prices and rates by providing a table below. You can check based on your location whether you are sending money from Luzon, Visayas and Mindanao. Based on the table provided by LBC website, you can send from 100 up to 5000 to any point of the country covered by their courier service. 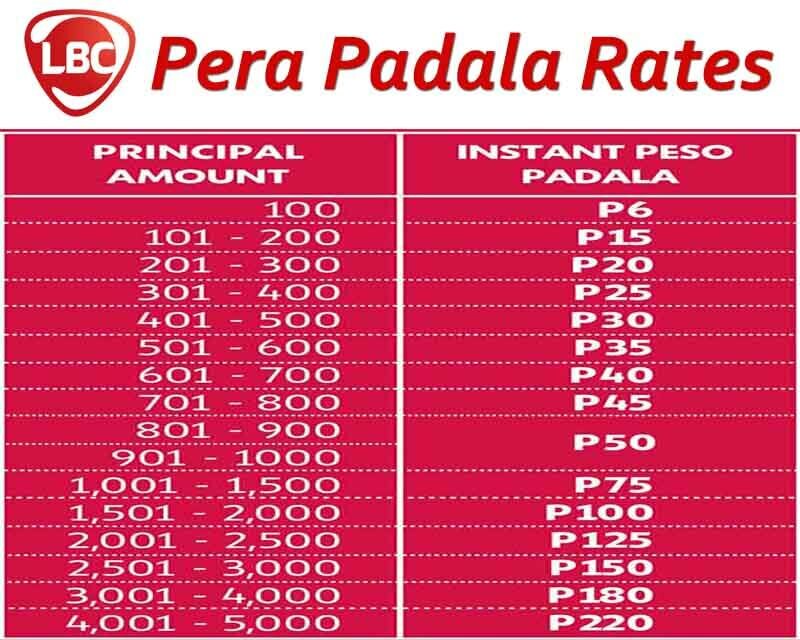 Their cash-to-cash pick up service is also called Instant Peso Padala that offers real-time money remittance. With more than 1,200 branches nationwide, you can quickly transact at the nearest LBC branch and agent partners available in your area. To claim, you need to present the tracking number and valid ID’s. Do note that rates may change without notice.